How to use the Shadow Knight class and get more allies. Fans of role-playing games would be wise to check out JuiceBox Games' HonorBound, which lets players take control of unique characters and build an army as they battle enemies across a fantasy universe. With over 300 unit types available, ranging from warriors to wizards, there's a lot of ground to cover. Oh, and how about that soundtrack by Game of Thrones composer Bobby Tahouri? Here are some tips to help get you started in the game. How does the Shadow Knight class work in HonorBound? This Abyss champion specializes in darker abilities, including shadow attacks and darkness-enabled. However, they don't consider themselves evil, but rather a "balancer of life" when it comes to battling other enemies that utilize the light. How does the Spirit Sentinel class work in HonorBound? The Spirit class works in the exact opposite manner of the Shadow Knight, using light and a sense of hope to drive its character. Their light shouldn't be mistaken for weakness, though, as they can use a number of attacks and abilities that will leave enemies blind and burned. How does the Sylvan Protector class work in HonorBound? Using Primal capabilities, the Sylvan Protector embodies growth, competition and struggle. This warrior uses plant-like abilities when heading into battle, using the Earth to their advantage. How does the Pyromancer class work in HonorBound? As the name indicates, this one's a master of fire. They're great when it comes to attacking enemies head on, rather than utilizing magic attacks taken from another element. They're also strong and fast, which some players will appreciate. How does the Celestial Sage class work in HonorBound? Using Lunar capabilities, the Sage follows cycles and seasons, as well as ebb and flow. It utilizes magic better than any of the other classes, and obtains hidden knowledge that could be useful when heading into battle. Which class is the best one to start with in HonorBound? All classes work equally well, it just depends on what kind of game experience you're looking for. Melee-style players, for example, should start off with the Pyromancer, while those who dig the old-school style of magic will want to stick with the Celestial Sage. The others are worth trying out as well, so experiment with each player and see who feels like an ideal fit. How does energy consumption work in HonorBound? 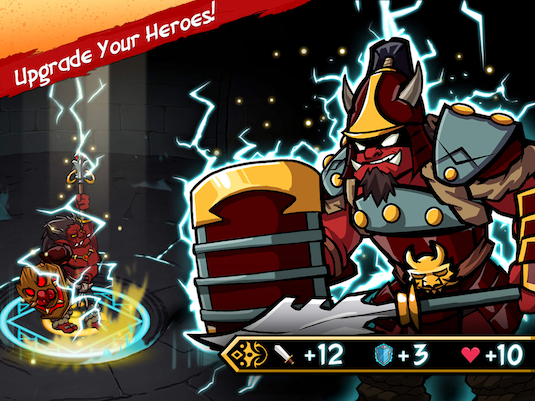 Energy consumption takes place over the course of each battle, when you unleash attacks on enemies. You'll start out with 15, but eventually, you're going to run out. At this point, you can either wait to refill your energy meter or pay for an energy pack to refill it. Your character's leveling up will also refill the energy meter automatically, so be sure to check your progress before dropping some money on an energy pack. How does research work in HonorBound? Research helps you expand your army over the course of the game, as well as bettering your character overall. You'll only be able to do it a certain number of times before needing to pay for an energy refill, but it really pays off if you want to get deeper into the game. Research helps expand the number of coins and embers you collect (it starts at a minimum amount at the beginning), as well as other areas. Why should I research leadership in HonorBound? By researching leadership, you gain more confidence when it comes to adding members to your party. This is vital, as you can call upon their attacks on the battle screen. Some can actually be quite devastating, as you'll learn over the course of the game, when enemies get wiped out in a single blow. It pays to know your recruitment skills. What else can you research in HonorBound? Along with additional skills and strengths through evolution, you can also enhance whatever battle cards you're carrying, which strengthens your techniques overall. Is recruitment the only way I can get allies to join me in HonorBound? No, you can also utilize a capture ability on weaker enemies. Simply get into a fight with them, but don't take them out completely. Instead, have some of your weaker characters wear them down, then attempt to perform a capture. It may take a couple of tries, but soon you'll have them in your grasp, and you can work on growing your army further. What if I need practice with battles in HonorBound? The battle system will take a little time to learn - especially when you first begin the game - but stick with it. Eventually you'll unlock new techniques and strategies that will help you out in the long run, and earn you additional experience. For good measure, you can also take part in PvP battles to boost your assets, if you have friends that are into the game. Do I need to pay for anything in HonorBound? If you're a serious player, probably. In-game assets like energy and coins can be purchased with diamonds, though you'll earn a pretty good share with battles. If you're impatient, you can buy diamonds through an in-app purchase, ranging from 500 for $4.99 to 14,000 for $99.99. Most casual players, however, probably won't need to make that jump, unless they really can't wait to continue the journey. It's optional, of course, and not bad when it comes to being fair.